Are you ready? 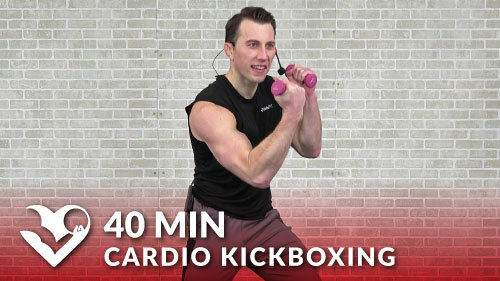 This cardio kickboxing workout uses real kickboxing combinations to help you improve endurance and strength while burning a ton of calories. But don’t worry! There’s no prior experience required. You won’t need any equipment for this routine, but if you’d like to add extra resistance then grab a couple of light dumbbells or water bottles. 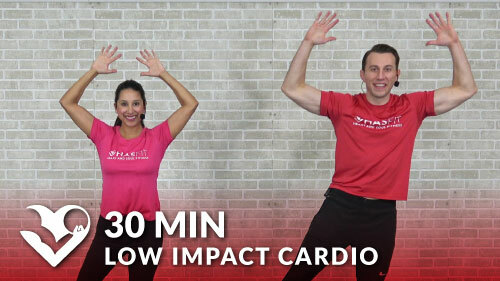 If you’d like more information, then please watch this cardio kickboxing tutorial.